A very nice pair of 'Citrus' flush mount lights / ceiling lamps by Kalmar, Vienna, Austria. 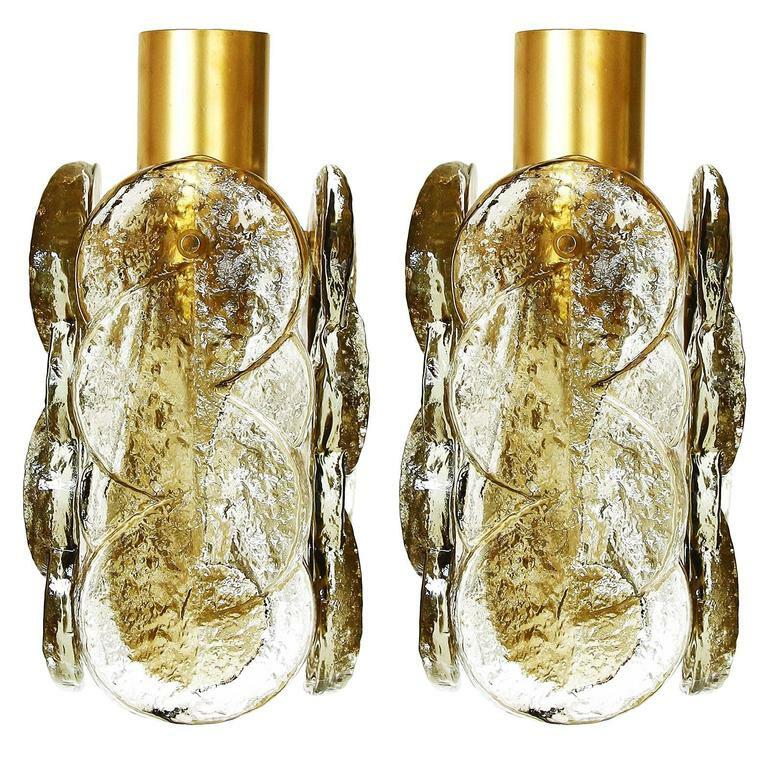 They are made of a golden lacquered metal base which holds four swirled and frosted glasses. Each lamp holds one medium screw base bulb up to max. 60W. They are in excellent refurbished condition. Priced and sold singly. Kalmar "Pagoda" flush mount, circa 1970s Original condition.